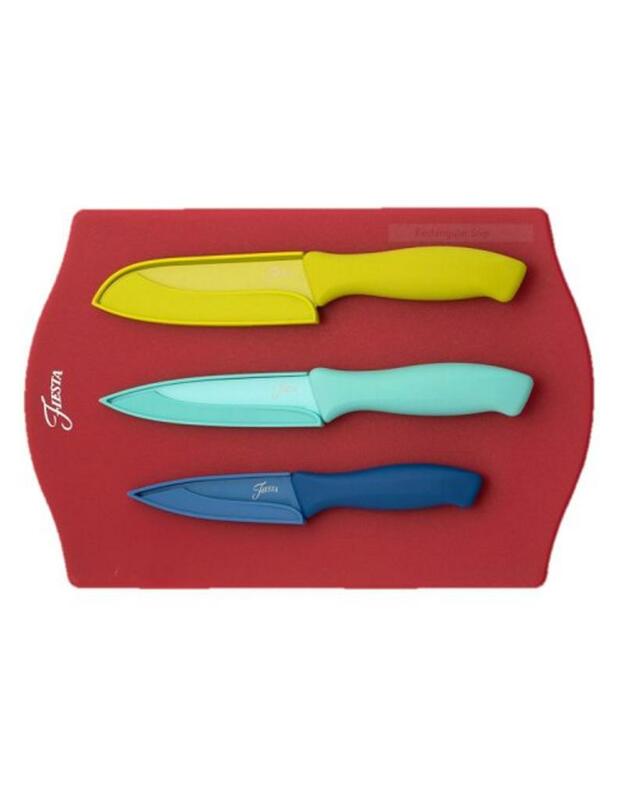 The Fiesta® 7 Piece Cutlery and Cutting Board Set is a beautifully coordinated and stylish set. 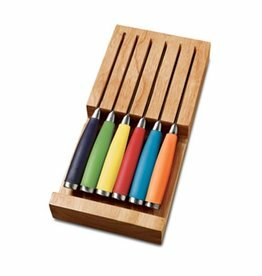 The Knife set is composed of Soft Grip handles and stainless steel with Non-Stick coated, hand-honed edges that stay sharp for a long-lasting, precision-cutting edge and Protective Sheaths. 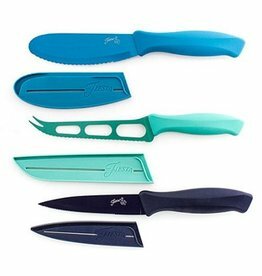 The Durable, Knife-Friendly Cutting Board is Non-absorbent, Non-porous and will not harbor odors. This item is dishwasher safe. Imported from China.